Our Sales NLP Course will turn you into a highly effective salesperson. You will learn how to increase sales and revenues, develop strategic alliances, and promote an effective sales process within your organisation. This NLP Course will show you how to maximise the power of sales channels and buying models. It will teach you to perfect your overt and covert communication techniques and how to increase your sales and referrals whilst strengthening your bond with the customer. It is part of our suite of company-based courses and is designed for sales and non-sales people who wish to expand and improve relationships with their current clients. 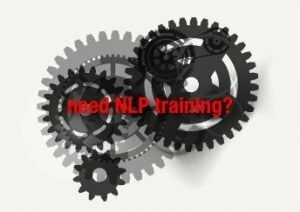 Individual NLP training is also available from Business NLP Ltd. This course will give you the confidence and skills to enjoy interacting with customers. They will start to see you as someone to help solve their problems rather than a pushy salesperson. Your reputation will increase as customers recommend you to their colleagues and people want to work with you. You’ll learn how to be effective in complicated situations and how to sell more in less time. As well as benefiting in your career, you will find that your new skills help you understand and respond to others’ motivations and needs, leading to much better communication with all sorts of people. Meeting new people will fill you with confidence and enthusiasm and you will relish the opportunity to explore common interests and build relationships. Identify, learn and perfect sales channels and buying models. Practice effective questioning to uncover customers’ values and criteria. Learn and perfect overt and covert communication techniques to sell effectively. Demonstrate new language patterns to improve communication. Use story-telling and other techniques to make a positive and lasting impression. Demonstrate increased confidence in your abilities. Exploit the potential of sales channels & buying models. Maximise your efficiency and boost your effectiveness. Set yourself in the right state to get results. Use overt and covert communication skills. Grab attention and build instant rapport. Practice language patterns to improve your message. Ask precisely the right questions. Uncover customers’ values, needs and criteria. Utilise storytelling & other communication techniques. Close with great confidence and success. Create a hugely positive impression on clients. Actively seek and receive referrals.